Gear, Undercarriage, Mixture, Prop! When you push the throttle forward, you need the confidence that only an Aerotronics built "Plug and Play" panel can provide. Our staff is here throughout the build process to help you design the instrument panel that best suits your needs. Upon delivery of your panel, our installation technicians are here to help you interface the panel to your aircraft so that when you go WHEELS UP, you can focus on the pay-off for all your hard work. When you push the throttle forward, you need the confidence that only an Aerotronics built "Plug and Play" panel can provide. Is your experimental aircraft showing its age? Let Aerotronics' six decades of experience bring your older homebuilt into the 21st century. Our gallery of experimental panels and systems. 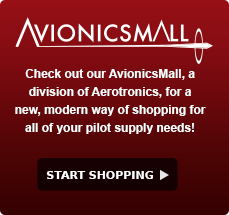 As a Plug-n-Play Panel owner you are about to experience a brand new world of avionics, wiring and construction.